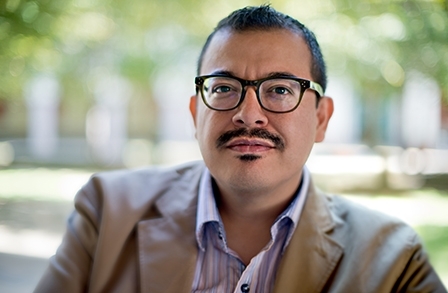 Eduardo C. Corral's first book, Slow Lightning, won the Yale Series of Younger Poets competition in 2011. His poems have appeared in Ambit, The New Republic, Ploughshares, and Poetry Magazine. He's the recipient of residencies from the MacDowell Colony and Yaddo. He's also the recipient of a Whiting Writers' Award, a National Endowment for the Arts Fellowship, and a Hodder Fellowship and the National Holmes Poetry Prize, both from Princeton University. He teaches in the MFA program in Creative Writing at North Carolina State University.